From Jersey Shore and Real Housewives of New Jersey to Cake Boss and Jerseylicious, 2010 was the year New Jersey took over TV. WATCH VIDEO of the best friggin' clips. If 2009 was the year of Jersey Shore, MTV's runaway hit about a group of 20-something "guidos" boozing at the beach, then 2010 was the year of the proliferation of all things Jersey, with just about every network trying to cash in on the craze. Though the Jersey Shore gang headed to Miami for the second season of the show, they brought plenty of Jersey flavor along, namely the no-holds-barred fighting that defined the first season. In round one at Seaside Heights, Snooki, aka Nicole Polizzi, may have fallen victim to the punch heard around the world, but the guidette phenom—or public annoyance, take your pick—doled out the blows to Angelina Pivarnick over "sloppy seconds" in Season 2. What follows is pure class. Teresa Giudice is famous for two things: going into $11 million of debt and her table-flipping antics at the expense of Danielle Staub during the first season finale of Real Housewives of New Jersey. After the housewives discovered a book about Staub's questionable past and drug arrest, she continued to be a target well into the second season. Faster than you can howl the words "prostitution whore," Giudice and Staub were back at it again, complete with Staub losing a hair extension after a friendly greeting got out of control. Besides wreaking havoc on Miami, the Jersey Shore cast made an impact across pop culture. Mike "The Situation" Sorrentino was the highest paid of the cast; between a workout video, vodka line, and stint on Dancing with the Stars, he earned a reported $5 million, including the $30,000 per episode he received with the other cast members for Jersey Shore. The Sitch must have left his dance moves in Miami because he got the boot after four weeks on DWTS, thanks to dance moves only worthy of a grenade. The success of Jersey Shore and Real Housewives spurred a number of Jersey-themed spinoffs. Among them was Jerseylicious, a reality-TV show about the trials and tribulations of the Gatsby Salon in Green Brook, New Jersey. Faithfully following in the footsteps of the Jersey shows that came before, the show featured big hair and a lot of fighting over nothing. But of all the fights over boyfriends and hairstyling, one ruled them all: Two of the stylists brawled at a Locks of Love charity event at the salon, while it was being covered by a reporter from New Jersey Lifestyle magazine. Oh, yes they did! Grenades, GTL, T-shirt time, and more: When it comes to memes, Pauly D, Vinny Guadagnino, and The Situation take the cake for Jersey shows. From getting their gym, tan, laundry on to ensure post-club smushing, the first season set a high bar for Jersey Shore lingo. But like hair gel and Ed Hardy T-shirts, there's always more to be had, and for the second season, the boys came up with a musical theme for their pre-club ritual of changing into fresh tees before creeping on the ladies. Buddy Valastro, owner of Carlo's Bakery in Hoboken, let TLC's cameras prove that even a family bakery can be dramatic. Between cupcake fights, a trip to Italy, and a visit from the Jersey Shore's Snooki, there's seldom a dull moment on Cake Boss. So when Valastro brought in a Marine to get his baking underlings to do their jobs properly, he proved once and for all why he is the definitive cake boss. Sloppy seconds, Prohibition-style: If the recipe for a successful show about New Jersey calls for lots of booze and catfights, HBO's Boardwalk Empire has got plenty. While the show is a fictional account of New Jersey during Prohibition, it contains all the necessary behavior that defines shows about The Garden State. If Snooki and Angelina donned 1920s outfits for their throwdown, this scene of Steve Buscemi's character's mistresses Margaret and Lucy might as well have been about them. When the lace hits the fan: Proving that nearly every network tried to cash in on the Jersey craze, Oxygen dared to document the everyday drama at Diane & Co., an upscale dress store in central Jersey. With the big hair and big personalities alone, Diane Scali, the store's owner, had a lot to keep under control. Enter daughters Kimberly and Christina, and she—or at least one $5,000 dress—came undone on Jersey Couture. The Los Angeles Times pegged VH1's My Big Friggin' Wedding as the love child—or booze baby—of Jersey Shore and Bridezillas. We have the producers of Jersey Shore to thank for this show about all of the drama that goes down before Jersey and Long Island couples even make it down the aisle. Watch one couple, Tammi and Danny, duke it out over a last-minute prenuptial agreement, all so the groom doesn't have to worry about another ex-wife moving to Georgia and taking his snow blower with her. Of all New Jersey's notable exports— Jon Bon Jovi, salt-water taffy, John Brennan, and many more—Snooki became 2010's prime target for spoofing. Besides being featured on late-night TV and Saturday Night Live, South Park's satire of the public nuisance was particularly spot-on, painting Snooki as a hard-drinking, hooking-up beast. While the snowy town of South Park has seen everything from Scientology to Mel Gibson, nothing could top the Jersey Shore's transformation as a Golum-esque creature. One book deal and a New York Times profile later, it seems like everyone has something to say about the uber-tanned, poofy-haired, pickle-loving Snooki, including New Jersey Governor Chris Christie. While he doesn't think the reality-TV show's cast is representative of the state once dubbed the "armpit of America" on This Week, his Jersey pride isn't dying down any time soon. Alex Berg is an assistant video editor at The Daily Beast. 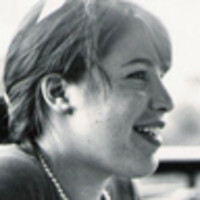 Her work has appeared in The New York Times, The Washington Post, The Huffington Post and iVillage. She holds an M.S. in journalism from Columbia University and a B.A. from Cornell University. You can see more of her work here.